The second version of Four is more sophisticated and researched in its use of its component materials. 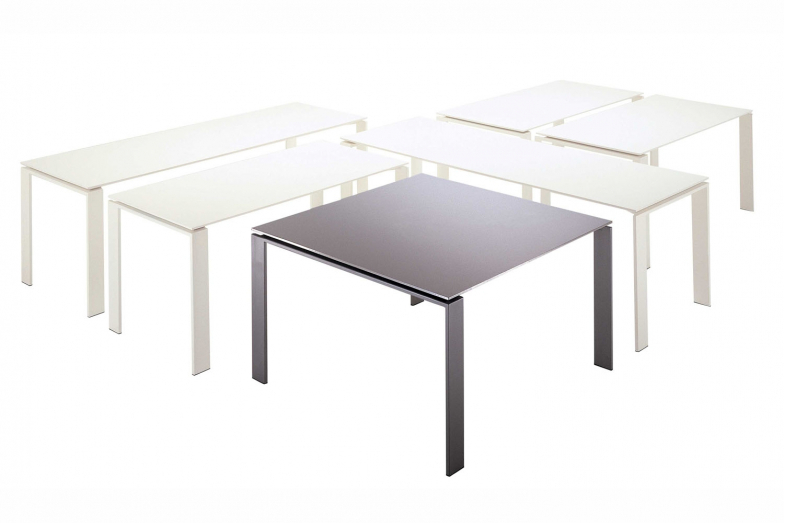 It includes a satined aluminium table top combined with a varnished steel structure. There are also three rectangular versions with lengths of 158, 190 and 223 cm and a square version with a 128 x 128 cm top. 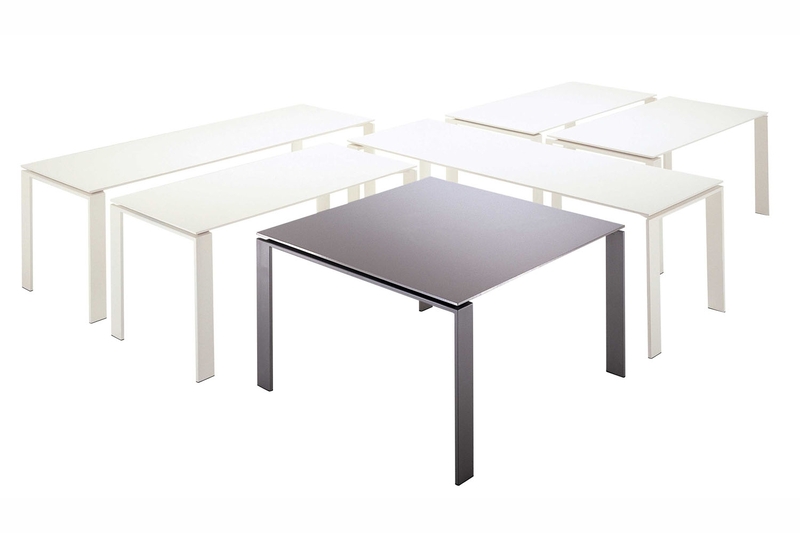 The laminated aluminium top makes Four a more elegant and representative table, ideal not only for corporate offices and meeting rooms but also as a dining table.